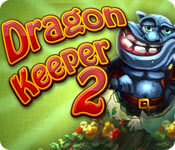 Dragon Keeper 2 is rated 4.2 out of 5 by 46. Rated 5 out of 5 by Maebird from Dragon Keeper 2 I can only piggy-back on all the reviews already given. This is simply a great family game. I've been playing Dragon Keeper Part 1 and Dragon Keeper Part 2 for a while now and had thought I'd reviewed it. The only thing left to say is " give these games a chance". There are hours of great fun. Rated 5 out of 5 by sabinesa from What fun! Dragon Keeper is a bit a different time management game and it's great fun. I only stumbled across it a couple of months back and see that the latest installment has been around since 2012 .... so .... where is the next version! I've had such fun and have re-played it already a couple of times and bought the first one also, which wasn't as fun as the second, but alas, I replayed that one already too ;) I cannot even say what makes this such fun, it just is and it's great! Rated 5 out of 5 by elwilgo from Not just a kid's game at all! One of my favorite BF games, and there is a relaxed mode. Buy baby dragons, feed and voila! They puke up gems which you gather to make various items at the end of the day. As they grow, they begin to puke different/more expensive gems. There are many unique elements/helpers available as the game progresses making this one even more fun. 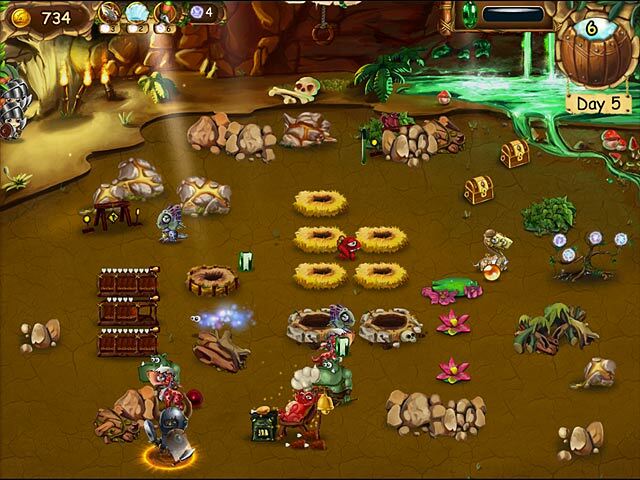 Mama dragon gives tasks to complete - I've played it several times and have still not been able to get all gold in any cave so it is challenging. Highly recommended! Rated 5 out of 5 by Alwaysgamer from Non-stop clicking Loved the game! Lots of bits and pieces to choose from. Gets harder and harder with challenges to meet. The storyline could be better, but i suppose it is to cater to young players as well. Challenges and options could be expanded on as well, however none the less they were good enough to keep me hooked. 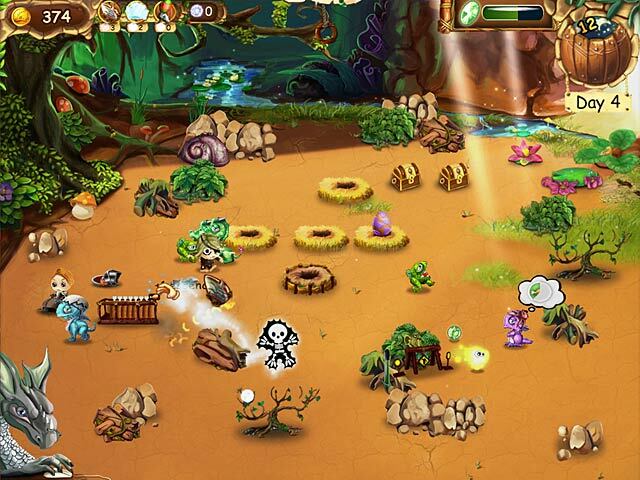 Rated 5 out of 5 by bitajafari from I LOVE DRAGON KEEPERS 1&2 thanks for making this awsome game i love it. Rated 5 out of 5 by rpmlady from I'm a Dragon Keeper! I love this game and echo all that has already been said. I just wanted to add that this is the one game I keep coming back to time after time. Whether I've been playing HO games or Strategy, whatever the case may be. So I am just hoping that they get around to a DK 3 sooner than later. I can't wait to see what improvements are made, since I too play the original and know how much more fun this one is. Rated 5 out of 5 by nanajodi101 from Great Game! 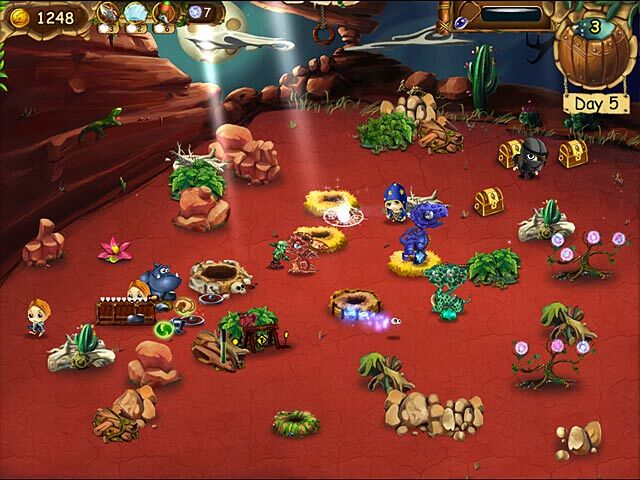 This is a very fun game, the graphics are cute and clever, the story is good and game play fun. I am a time management game junkie and this feeds the need well! Thank you for a great game! Rated 5 out of 5 by Qwiz from Just like the first, fun. I liked the first one better but this one is still cute and fun to play.